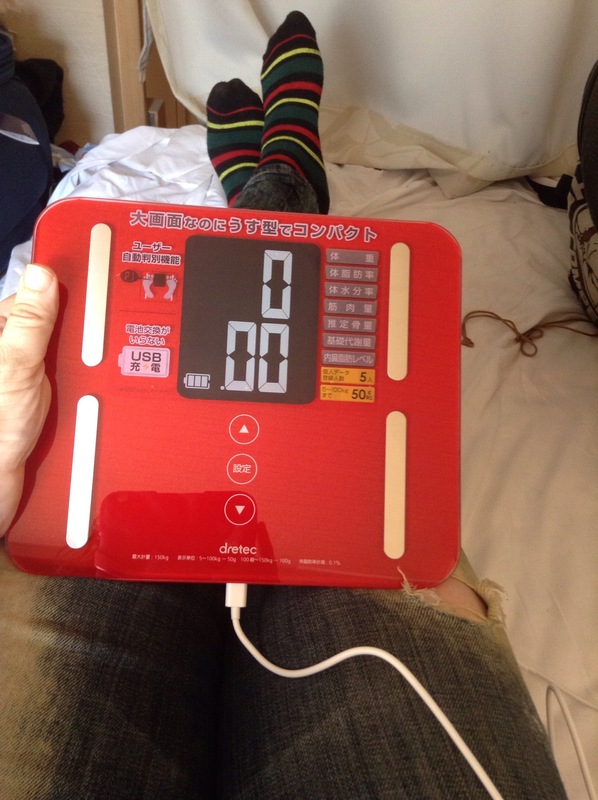 Before I started competing in Jiu Jitsu, I never owned a scale. They were not allowed in my house growing up and I just never felt the need to purchase one. When I announced my intentions to compete for the first time, I was asked the big question of which weight class I would be entering. Honestly, I looked down on the whole process of cutting weight as a stupid, unnecessary thing. I remember making an inward vow that I would never drop weight for a competition. Logically, I would feel best at whatever my normal walking weight is right? Now first, I will say that I know people who have done very stupid things in order to make weight – and in a last ditch effort, I have done stupid things myself. If done properly, however, dropping to a lower weight class can give you an extra edge in more ways than just a size difference. My normal walking weight is about 145 lbs. With a Gi on, that would be roughly 148 lbs and put me in the middle weight division for an IBJJF competition. I have competed in the middle weight division and it was not a pleasant experience. Over the past four years of competing, I have determined that light weight is my sweet spot. This requires me to drop about 7 lbs over the course of 4-6 weeks. Please note that most often, my weigh ins are done just a few minutes before my matches, so no huge water cuts for me. I think this actually ends up being a very good thing for me physically and mentally. I have a smaller body frame and have more likelihood of matching up with someone of the same size in the light weight division. Planning out the weight drop in advance forces me to adjust my eating habits and increase my cardio – which makes me physically feel better and stronger. The mental discipline required to keep me on track with my eating and training really helps to keep me focused and feel on point at the actual event. My advice I give to people about weight cuts, is to experiment with it. Don’t do anything crazy as a white belt. You may see high level competitors doing large weight drops for the world championships, but keep in mind that they have been doing this for years and have worked out their system and acclimated their body over time to be able to make their selected weight class without falling apart. Everyone has a different body type, metabolism, and environmental factors. This is why I advocate experimenting with different weight classes to find where you feel you fit in best. I have actually made feather weight twice (125 lbs) – but just because I can, doesn’t mean that I should. How do you know if it is your weight class? Just ask yourself a few simple questions after your matches. Did you feel strong, did you feel focused? How was your speed? Did you gas out? How was your muscular endurance? If you felt good, then stick with that division for a little while and see where it takes you. Quite often, I run into opponents who are larger than me in my weight class. 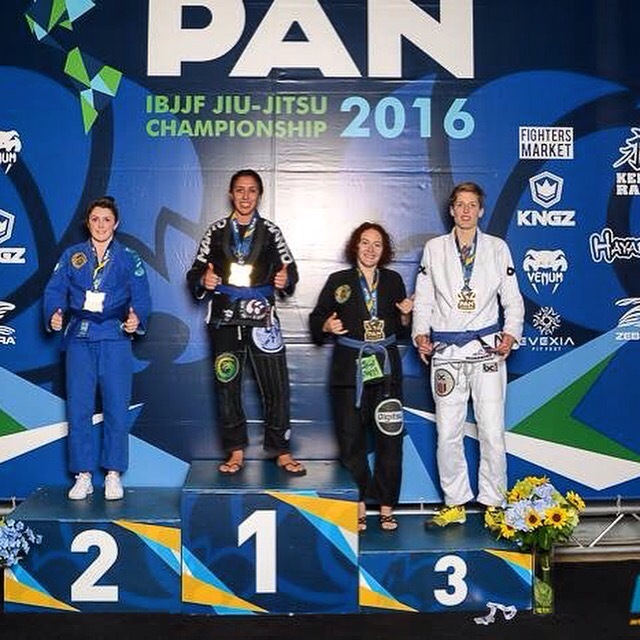 One of my friends saw my weight class podium photo from the 2016 Pans and thought it was the open weight class, due to the size differences represented on the podium. The size of your opponents doesn’t matter so much as does your own physical and mental conditioning. I see making weight not as trying to be the biggest in the next weight class down, but as making sure I am physically at my best before going out to compete. You probably don’t remember me, put we competed one in a division that I believe was 135lbs and above. You probably weighed 145lbs I was pushing 200 lbs. You beat me due to your size and speed. So yes backing you up sister! Size doesn’t matter! Hi Billie! That was a Fuji event in KY if I remember correctly? You were tough! Are you still training and/or competing? That was KY. Good memory. I was tough! Heck you were tough and very talented. I don’t train anymore. I’m a Crossfitter now, but I live vicariously through your posts. What a great career you are having! I read your posts all the time! If you would like to post the podium Pic from our match (assuming you still have It) to drive home this post feel free. You earned it! !